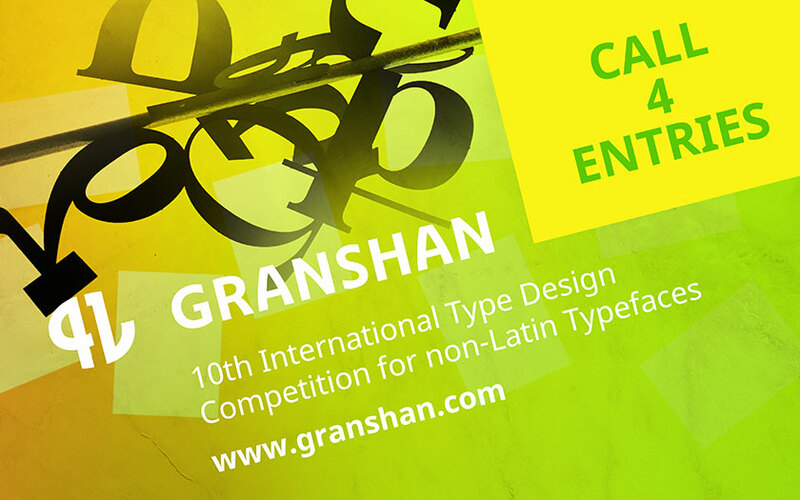 The GRANSHAN Competition is now calling for entries. You can submit your typeface in three categories: MAIN I – non-Latin in the following categories: Arabic, Armenian, Chinese, Cyrillic, Greek, Hebrew, Korean, South Asian Scripts (as Devanagari, Bengali, Gurmukhi, Telugu, Tamil, Gujarati, Malayalam, Sinhala), Thai and Display. // MAIN II – non-Latin–Latin (same categories as above) // MAIN III – multiscript non-Latin (with no Latin component). Type designers from all parts of the world are invited to take part in the competition. All typefaces designed or ­digitized after 2015 complying with the requirements of the competition are eligible for entry. All submitted fonts shall comply with and use Unicode encoding system.